Tampa Divorce Attorneys are those attorneys, barred in the State of Florida, that represent clients seeking a dissolution of marriage. The legal definition of divorce is the legal termination of a marriage by a court in a legal proceeding. The Tampa Divorce Attorney focuses his, or her specialty in Family law. Tampa Divorce Attorneys are a type of family lawyer that focus their practices specifically on divorce cases and that are associated with divorce such as spousal support, child support, and child custody. There are only two grounds for a divorce in a dissolution of marriage are that the marriage is irretrievably broken or that one of the spouses has been adjudicated incapacitated for a period, no less, than 3 years. A divorce in Tampa may also be granted through the transfer of a separation agreement. A separation agreement is when the parties, prior to divorce, decide to live apart for a period of time. In many aspects it can be considered a ”trial divorce.” A Tampa Divorce Attorney will help you draft a separation agreement that will help you negotiate division of marital property, child support, custody, alimony and all other issues involved in separation. When a separation agreement has been filed and the couple has lived apart for an extended period of time the Tampa courts will convert the separation agreement into a dissolution of marriage at the request of both parties. Florida is an equitable distribution state. This means that when the parties cannot agree to property division the courts will divide the marital property between the two parties. Equitable distribution does not necessarily mean equal but is, in essence, a way for the courts to distribute the marital property based on what is considered “fair.” Factors that the courts consider in distributing the marital property are: the contribution of each spouse to the marriage; economic circumstances of the parties; length of the marriage; conduct of the parties during the marriage; age and health of the spouses; the amount of assets each party holds in non-marital assets, contributions of the homemaker; and the contribution of the spouses to the maintenance and improvement of the marital home. The Tampa Divorce Attorney will be able to help you in to help you deal with getting child custody and child support. The Tampa courts will grant custody and child support to one or both of the spouses depending on factors that involve “the best interests of the child.” The Tampa courts will analyze a number of factors in determining child support and in what amounts. These include: the standard of living the child is accustomed to and who the primary caregiver is. The Tampa courts will often require the spouse to continue maintenance and support after the child reached the majority age if that child is dependant of the parent and is attending college, university or some other form of post-secondary education. In order to qualify for a divorce in the State of Florida one of the parties must be a resident of the State of Florida for a period of at least 6 months prior to the filing of a petition for the dissolution of marriage. 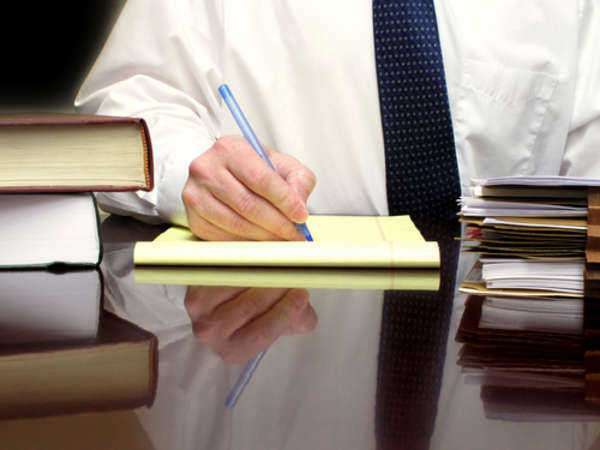 One of the reasons why you will want a Tampa Divorce Attorney representing you in a divorce proceeding is because of the numerous amount of forms that must be submitted to the court. Parties seeking a divorce must submit a petition for dissolution of marriage as well as a final judgment of dissolution of marriage. During the proceedings there can be between 10 and 20 other documents that need to be submitted including an affidavit of corroborating witness, marital settlement agreement, family law financial affidavit, answers, and final disposition forms. A tampa divorce attorney will be in the best position to help you complete these documents and expedite the divorce proceedings. When you are contemplating divorce procedures in the city of Tampa it is important to seek the the legal advice of a Tampa divorce attorney. Tampa divorce attorneys will represent you to their fullest potential to make sure that you get the rights that you, or your child, deserve concerning custody, child support, and spousal support. Dissolution of marriage proceedings can be stressful and emotional. It is important to have Tampa divorce attorneys with no emotional attachment to help you get the spousal support and custody that you are owed. Mediation is the best way to proceed when going about a dissolution of marriage. Mediation will not be on the public record, other than the binding settlement. This is beneficial because dirty laundry of the spouses will not become prone to public scrutiny. Another reason to have a Tampa divorce attorney is because a divorce has long lasting and life long effects. If you represent yourself in a dissolution of marriage proceeding you could end up, not only paying way more than you should in spousal support, but also lose custody of your children. It is in your best interest to get Tampa divorce attorneys who will negotiate and litigate for your rights and help you to in a dissolution of marriage proceeding that will have long lasting effects. How do I find Tampa Divorce Attorneys? 4. Ask yourself : How much you have at stake. Answering these questions, you should set up interviews with at least a few Tampa divorce attorneys who meet your criteria. It is also beneficial to contact the Tampa or Florida Bar Associations and take advantage of their referral service. The Florida Bar Association keeps a list of all lawyers in the state who are barred and in good standing along with their specialty areas. You can also find an Tampa divorce attorneys by accessing the laws.com referral service at the top of this page. Clicking on the “find a lawyer” link at the top of this page you will be prompted to input your name, location, contact information and the extent of your legal problem a representative from laws.com will be able to direct you to a competent Tampa divorce attorney for a consultation to help you with your divorce proceeding.